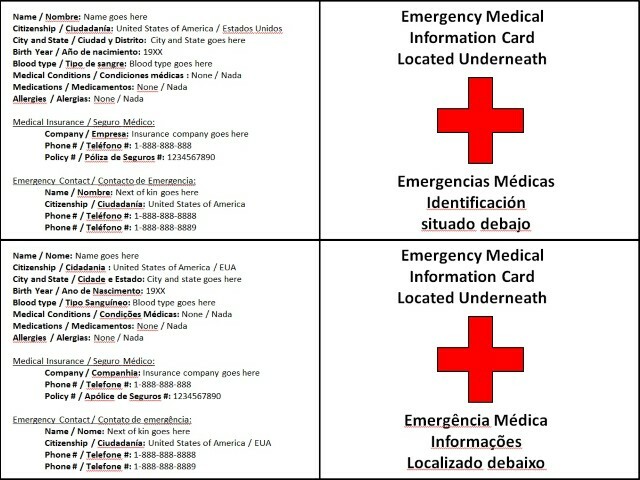 There are a lot of options when it comes to Travel/Medical insurance. A quick Google search will bring up a dozen+ results of well known companies. When it comes to selecting a company and plan, it’s best to have all the attributes you want already written out. This will make it easier to narrow down the choices quickly. For me, the insurance plan had to include: Coverage for an American (obviously, however some plans only cover citizens from certain countries), provide coverage for all of Central and South America, not disqualify riding a motorbike (some companies/plans consider it an adverse risk or extreme sport and won’t cover it), provide comprehensive medical and dental coverage, provide Emergency Evacuation (if seriously injured, they will fly you back to your country of citizenship and provide coverage there) and provide coverage up to $500,000. Both had very similar coverage plans and both received great reviews. In the end, I decided on IMG since their rates (at least for me) were about 15% cheaper. A plan for me with a $500,000 coverage limit and $500 deductible works out to about $350 for one year of coverage. In my opinion, that’s a pretty good deal and definitely worth having just in case. I’ll likely never need it and even if I do get hurt or sick, most medical care in CA/SA is so cheap that I’ll just pay for it out of pocket. Most people had these vaccinations when they were a kid. However, some do require occasional booster shots (such as Hep. A & B). Other medical issues worth mentioning are Malaria, ‘travelers diarrhea’ and altitude sickness. While there are no vaccinations for these, there are some ways to prevent/treat them. Malaria can be a very serious disease if it goes untreated (can result in death) and it is some-what common in the remote jungle areas of Columbia, Ecuador, Peru, Bolivia, Brazil, Venezuela and the Guiana’s. I took Doxycycline for 11 months straight with no side effects, so I have no issues with taking it again if need be. With that said, I still don’t plan on taking it on most of the trip since it can put a lot of stress on your liver and you’re not supposed to take it if you drink alcohol.. and there’s no way I’m giving up beer! Although, I may start taking it while in Peru and Brazil in preparation for my route through the Amazon and while traveling down the Amazon river. Travelers Diarrhea is caused by eating foods/bacteria that our bodies are not used to and have no defense against. Most people end up stuck in their hotel for a few days feeling terrible with a nasty case of the shits. I plan on bringing a few dosages of Ciprofloxacin to remedy this. It’s a moderate strength anti-bacterial that works quickly to kill off the bugs you’ve ingested. If I do come down with something, a quick dose should knock it out in a day or 2. In the US, it requires a prescription but in Mexico it’s readily available over the counter and at much cheaper prices. I plan on carrying an Adventure Medical Smart Travel Kit with a few additions such as Ciprofloxacin, Altitude sickness pills and Doxycycline. Any basic first aid kit should do for a trip like this. Most villages and cities in CA/SA have some sort of medical treatment facility for anything more serious than what your first aid kit can handle. Good article on Travel Immunizations and Health Tips for South America written by World Nomads. Check it out here. I saw on another motorcycle touring site a good idea about having an ’emergency medical info card’ located on yourself as well as a conspicuous spot on your moto (such as the tank bag or taped to a pannier). I figured that since it’s easy to create and a good idea, I’d go ahead and make one myself.. especially since I’ll be riding some potentially dangerous roads loaded with crazy Latino drivers! The top card is English/Spanish and the bottom card is English/Portuguese. I did the translations with Google Translate, so I’m not 100% sure they’re accurate or fully make sense. Feel free to download it and make your own. Click here to download the powerpoint template.